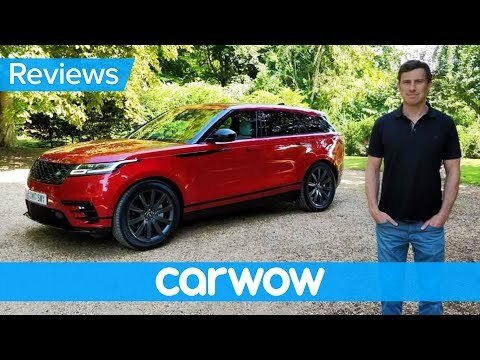 The Velar is sporty on-road and Range Rover-capable off-road. Its beautiful exterior is bolstered by the elegant, tech-friendly interior, with the same level of quality materials Range Rover owners have come to expect. Few luxury SUVs offer the same combination of features, but buyers should also consider the Porsche Macan or Cayenne, Jaguar F-Pace and Mercedes-Benz GLC. It has many safety features that helps to protect you and your family while on the road. It is very responsive, has great safety features, easy to drive and extremely comfortable. We can accommodate all those that we need to. And it looks great. This car may be a 4 cylinder but it is the most powerful 4 cylinder. This is by far the smoothest vehicle i have ever driven. The technology is top of the line. It is so stylish. Could not ask for a better vehicle. I love the style and color.The ride is the smoothest I have ever taken. I really love all the touch screen options My only dislike is the small gas tank. Jaguar Land Rover North America, LLC (Land Rover) is recalling certain 2018 Range Rover Velar vehicles. The air inlet door linkages for the ventilation system may detach, preventing the system from clearing fog or condensation from the windshield and windows. If condensation or fog cannot be cleared, the driver's visibility may be affected, increasing the risk of a crash. Land Rover will notify owners, and dealers will update the vehicle software to control the length of movement of the ventilation actuator arm, free of charge. The recall began on April 16, 2018. Owners may contact Land Rover customer service at 1-800-637-6837. Land Rover's number for this recall is N143. Jaguar Land Rover North America, LLC (Land Rover) is recalling certain 2018 Land Rover Range Rover Evoque, Range Rover Velar, and Land Rover Discover Sport vehicles equipped with a 2.0L gasoline engine. The fuel rail end caps may leak, possibly resulting in fuel vapor or liquid fuel leaking into the engine bay. A fuel leak in the presence of an ignition source such as hot engine or exhaust components can increase the risk of a fire. Land Rover will notify owners, and dealers will replace the fuel rail, free of charge. The recall began on March 8, 2018. Owners may contact Land Rover customer service at 1-800-637-6837. Land Rover's number for this recall is N138.